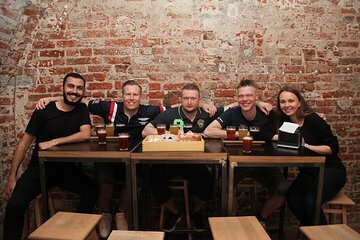 Raise a glass to Warsaw’s up-and-coming craft brewery scene on this craft beer walking tour. Pop in to three of the capital’s best microbreweries to taste seasonal Polish ales, lagers, and more, all brewed in small batches using artisan techniques. Learn about the intricate brewing process, what glass to use with each beer, and other pro imbibing tips from a beer-loving guide, all in a fun and social atmosphere.